Thanks to the World Science Festival, it is now possible to witness turtles hatching at South Bank. The Hatchery: Turtle Conservation Experience is a magical exhibit for all ages. 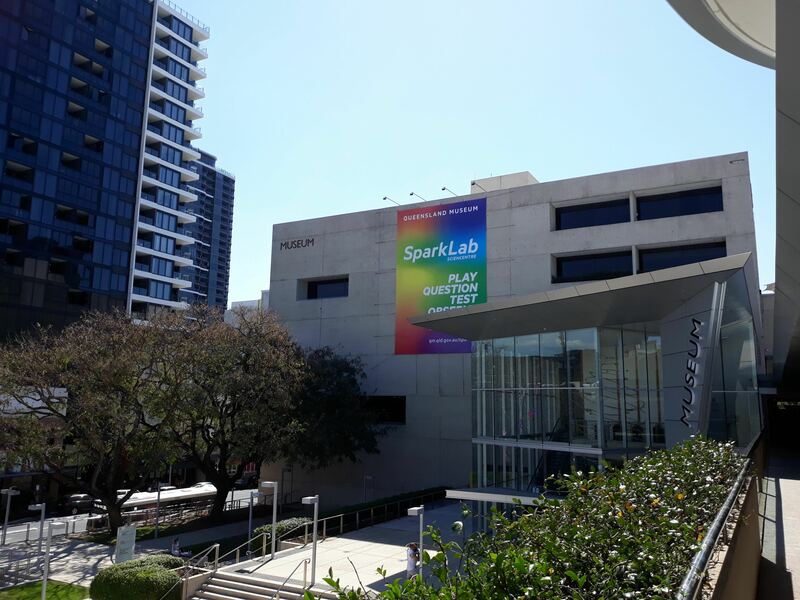 Kicking off on Tuesday, the World Science Festival has returned to Brisbane for six fun-filled days. The program is packed with events to spark your curiosity. 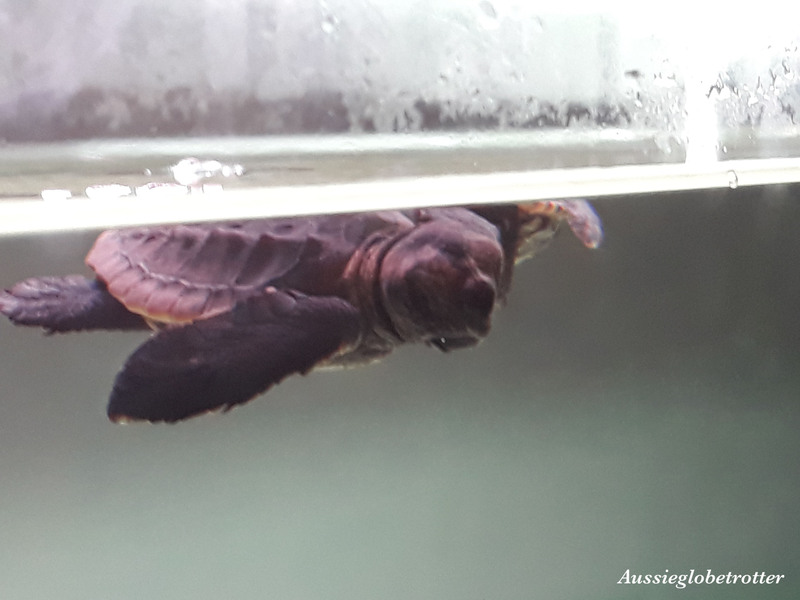 The Turtle Hatchery is just one of the amazing events on offer. While the hatchery is sold out on Wednesday, Thursday and Friday mornings, no bookings are required for the afternoon sessions (2.30pm - 4.30pm) or the weekend. The exhibit is open 9.30am until 4.30pm. Located at the Queensland Museum, the Turtle Hatchery is a popular exhibit, so expect queuing. The queue begins at Whale Mall where children can create masterpieces on a huge Under Water Mural. This black board is the perfect activity to keep them occupied while you wait. Supervision is required. The turtle hatchery is worth the wait. 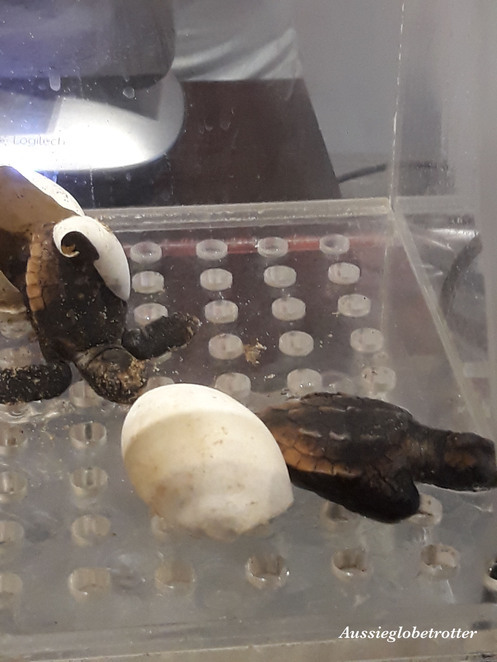 10 - 15 minutes is spent learning about the turtle life cycle and Mon Repos before guests are invited to view the hatchlings in their incubation chambers. 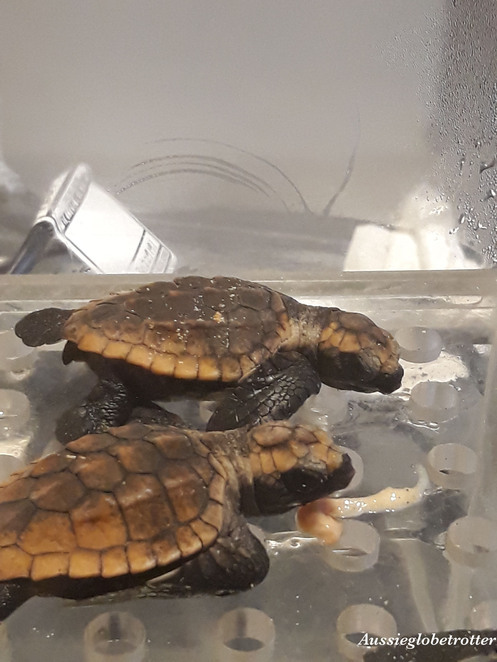 After the festival, the turtles will be transported to the Sunshine Coast and released offshore. The exhibit is designed in collaboration with herpetologist Colin Limpus and Queensland Museum Senior Curator of Reptiles and Amphibians, Patrick Couper. Pram parking is compulsory before entering The Hatchery queue. Pram Parking is available in the Whale Mall, opposite the entry to The Hatchery. Visitors should also be aware that large bags, food and drink cannot be taken into the exhibit. Why not make a day of it? There are a number of free events ideal for children available at the museum including the Ice Ice Baby Exhibit which features a spectacular LEGO model of Australia's new icebreaker RSV Nuyina and CoralWatch. This is a 3.2 metre cutaway model. Certified LEGO Professional Ryan 'The Brickman' McNaught built this incredible creation using 117,612 bricks. Located on Level 4, visitors can learn about the Australian Antarctic Program and science on the icy continent. Delivered in partnership with the Australian Antarctic Division, there are hands-on activities for families and the team is available to talk about penguins, ice cores and more. Learn about our precious corals at the CoralWatch exhibit. With beautiful coral specimens and fun learning activities, learn how you can become a coral health expert using easy-to-use Coral Health Charts.